Welcome! Car looks pretty clean. Being in the PNW, your in a great area as far as E30 enthusiasts goes, lots of great cars seem to come out of that area. It's actually absurd how many E30s there are in Portland alone. I can hardly go for a drive without seeing at least one (Not complaining). It's an '87 (2.7L M20 B27), with ~170k actual miles on it. My odometer went out around 5k miles ago after teaching my friend how to drive stick on it. She killed it pretty violently a few times, and a few days later, I realized that my tripmeter wasn't working. Anyway, it's my first car. My older brother bought it before he went to college, crashed it, sold it to my dad for $400 and moved to Boston. My dad also crashed it once (t-boned, driver's door got replaced) before he turned it over to me. He figured it for a car with a bleak outlook, but I've managed to get it repaired and driving pretty smoothly. wow, thats a true survivor! Love to see cars like that saved and still on the road. Start a build thread, we'll help you get it tip top. 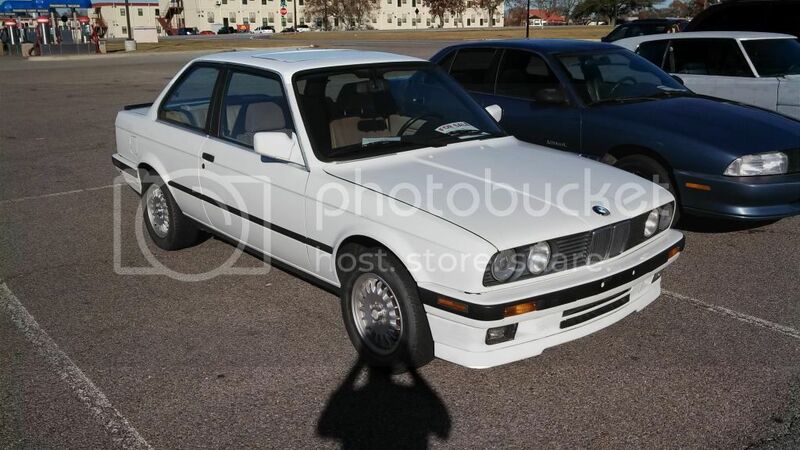 Man do I ever wish I saw E30's on a regular basis like that! Also, you can buy replacement gears for the odometer that will get it working again. M20_fever wrote: i thought that too, but whats the purpose of a bot that makes posts in intro threads and is not selling anything? His sig looks to be selling roof racks to me. So, as per my story. 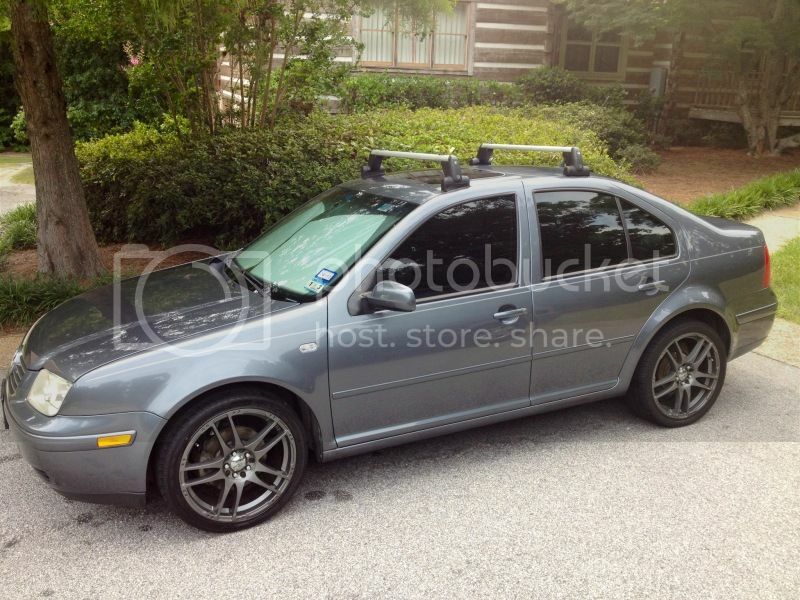 Have a 2003 Jetta TDI (http://img.photobucket.com/albums/v441/clowd/tdi.jpg but new headlights and taillights and smoked side lenses after that pic) that I had everything done and ready to go to Germany with, getting stationed there . Anywho, drove down to buy a 78 Chevy c10 to give to my brother. Army Sergeant won't let me drive the truck til I have money, yay army? . Driving home through southern Georgia I run over a dead dear, heart stops, I pull over and everything seems fine. Go home and clean the car and come back to look at the truck the next day, decide to buy it despite the guy being quite because the truck seemed to run well. As I leave I go over a speed bump at 5 MPH in the apartment complex and my engine falls out of my Jetta, or damn near does. Turns out, after replacing timing belt, tensioner, water pump etc the shear bolt broke and dropped my engine on the cam shaft gear/cv axles but not the oil pan, yay. Go to drive the truck on the highway to the nearest town and it starts spewing oil..... Go back, army sergeant has left, won't respond to any kind of contact, I wait at his house for hours and have to call to get a ride. He calls, gets rude, I hang up. He calls, cusses me out and I rip him a new one and hang up. He calls and says he's reporting me to the police for harrassment and to have my vehicles towed -.-. Anywho, story ending. I have to explain everything to my chain of command and come back up to nothern Georgia cause I have to work, vehicle or not. Coming home from work I spot my soon to be car stopping at the for sale lot on base. Stop to talk to the gentlemen and it turns out he was asked to put it for sale. His best friend, and fellow 30 year retiree, died less than a month after finding out he has cancer. Wife let his baby sit for 3 months and asked him to sell it for what the guy paid, 4500. Needless to say, I didn't have that cash and he was willing to work with me as he didn't want to sell it after driving it. Got him to 3200 and he drove it home with me to help me out. The body has zero rust, whatsoever. I crawled under, over, in and around and groped and felt and I only found two door dings and a ding in the hood, most likely from a rock. Interior is perfect. Everything electrical works inside and out. Look under the hood and the thing is darn near new. Look under and ain't a ding or spot to be found. As for things that have been done to the car. The plastics were repainted, somewhat poorly. The timing belt, drive belts, water pump, water hoses, ac lines, brake lines, tie rods, struts, control arms (? sorry, muscle guy), wiring harness, spark plugs, exhaust, filter (K&N), wheel bearings and possibly head gasket and intake gaskets were done. There's more receipts for things such as the ellipsoids being rebuilt and HID's put in and other things in the 150-700 price range being rebuilt. I have almost 3k in receipts over the six months after he retired when he went ahead and started making his baby, from Jan to July of this year. Decoded VIN and it looks like it has the M3 suspension as well as the LSD, but I can be fail. I'll start a build post if we can figure out something, chip/tune/turbo/preventative maintenance or strengthening (to prevent breakage from increased power). I come from a muscle car background, still have my 70 AMC Javelin, and this is my first BMW (favorite body by far) so I'm not sure what I can upgrade performance wise and not worry about breaking myself lol. Thanks for reading my block and I look forward to being active here as much as I can! Sup Ryki! That is a really really clean looking car. You can prove rust freeness by taking a picture of the rear battery area and the same spot on the driver's side. Those are the most prone to rust. As for starters... I ALWAYS do the timing belt regardless of what the paperwork and such tells you. From there, yea wheels and tires/ suspension work sound good to me. The little stuff you can do in your spare time like repainting parts. Welcome! WOW is that a clean example you got, and for $3200 it was a STEAL! I personally would not worry about the timing belt if you have a recipt for the work being done. Honestly, with such a clean original car I would go with a nice OEM+ build. Some wheels and good tires is a great place to start. All the rubber bushings could probably use a refresh. Did you use our sticky here on decoding the VIN? 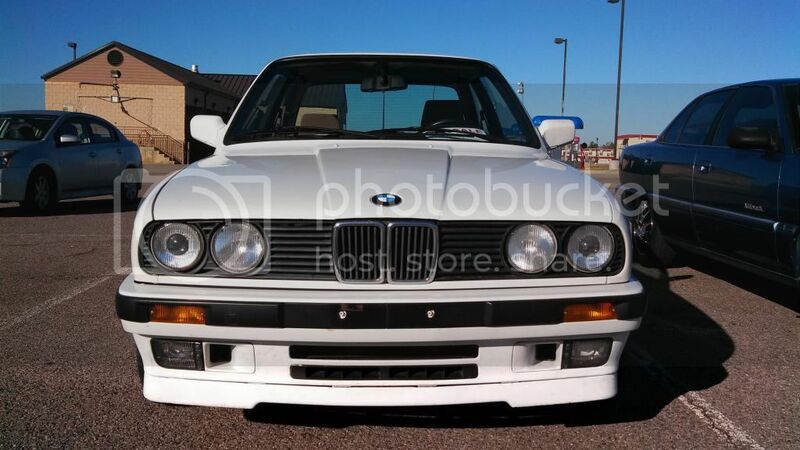 I've never heard of a 325i being equiped with m3 springs from the factory. The 'iS' package included stiffer sport springs than normal 'i' springs, but thats not the same as m3 springs. Either way, a set of lowering springs will give the car a more aggressive look. Start a build tjread and post more pics if that beautiful car! I don't care if there's a receipt. I ALWAYS do the timing belt. It's worth 1 afternoon for me to know that belt ain't gonna snap. Yeah, I know. The exception for me is if I have a recipt from a legit shop listing parts and labor to do the job that you can call and confirm it was done. I i just had a recipt for the parts and the PO claims to have done it, I would do it again. also depends WHEN it was done. In my opinion the white 2 door IS model is the nicest of them all. Nice choice. Wow! I took a nap and I already have this many responses! Well, I have receipts for the parts and then I have receipts for labor for it as well from what I can tell. It was done 06/06/12, so a little over 6 months ago (hehe, matching numbers <3). Anyhow, my wife has agreed with y'all! She said the car is too clean for me to funk up but she said we can look at getting another e30 in Germany for me to frankenstein. Sweet car man, welcome to the forum. That's some rotten luck with the other cars though! I think after doing a ridiculous expensive e30 turbo build, I should have just enjoyed the e30 for what it is and stick to suspension mods and restoration. They're great little cars!